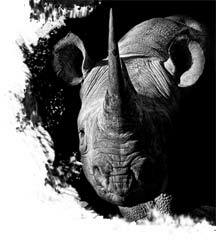 Rhino Army is a venture led by concerned business leaders and endorsed by Wildlands and The Bateleurs. 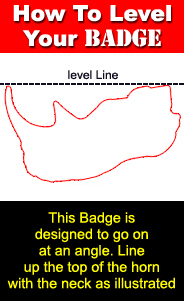 By purchasing the Rhino Army Badge attached to this ‘rhino tag’ you are making a contribution of R10 directly to the Wildlands’ and Bateleurs anti-poaching operations. Our partners see the participation of Rhino Army in combating poaching as an important part of its broader rhino conservation activities. 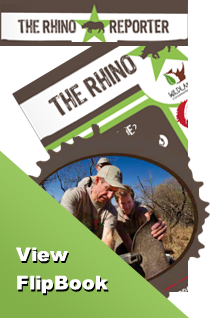 The Wildlands Conservation Trust is a Non-Profit Organisation and registered charity actively raising funds & implementing rhino conservation projects in Kwazulu-Natal, with a vision to ultimately expand these projects countrywide. 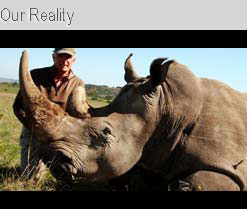 Rhino poaching is driven by sophisticated syndicates using world class technology. Thus the Wildlands Conservation Trust is investing in projects and tools which it believes will help counter these syndicates, namely Project Rhino Tracker and Project Rhino Aerial Support. The Bateleurs – Flying for the Environment in Africa, a South African non-profit, non-governmental organisation (NGO) of pilot members, who give their aviation skills, the use of their privately-owned aircraft, and their time, in support of conservation and the environment in Africa. The Bateleurs serves conservation and the environment by flying missions for conservation and the environment, free of charge, at the request of policy makers, scientists, community leaders, conservationists and environmentalists. 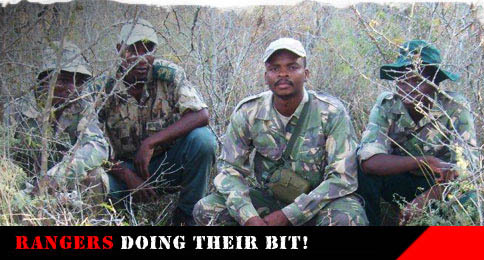 The Wildlands Conservation Trust and The Bateleurs urgently needs reinforcements in the war against rhino poaching. The Rhino Army has heeded this call and is mobilising its troops for active service in the combat zone. Our rhino are being driven to the brink of extinction by ruthless poachers. 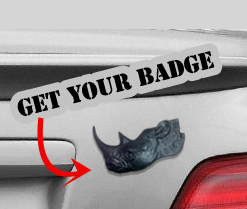 Act now and join the Rhino Army! The Rhino Army team had a great evening at the Wildlands Conservation Trust Earth Night in Durban. A gala dinner to celebrate their conservation efforts in South Africa and to raise funds for projects. 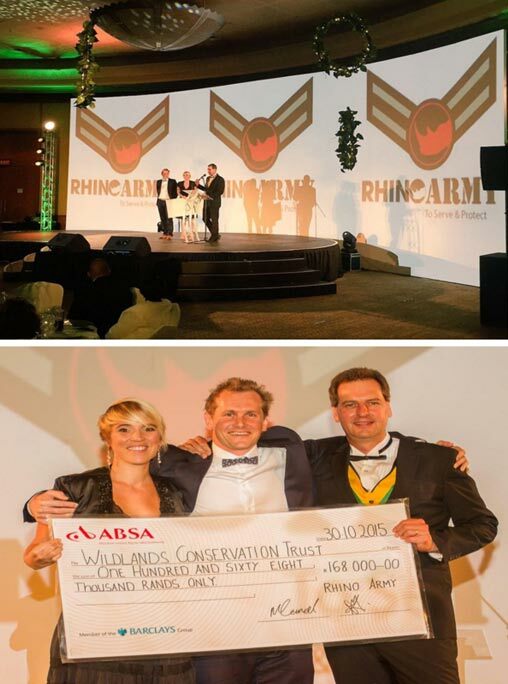 Rhino Army was very excited to have handed over R50 000 to Wildlands for rhino conservation. A big thank you to all of YOU who made that possible by joining our army. 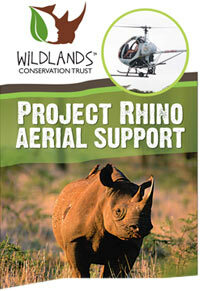 This is a new initiative that Wildlands has launched with a view to eventually supporting effective helicopter and light aircraft support for rhino conservation efforts. This initiative builds on the success of two aerial support models tested by Ezemvelo KZN Wildlife. The first of these was the introduction of a Bantam Ultra-Light aircraft into Hluhluwe-Imfolozi Park. Two section rangers have been trained as pilots and they have used the Bantam to include regular boundary, road and local community patrols into their anti-poaching activities. This Bantam is currently averaging 40 – 60 hours per month.